In the predominantly Mormon city of Draper, Utah, some seemingly perfect families have deadly secrets. 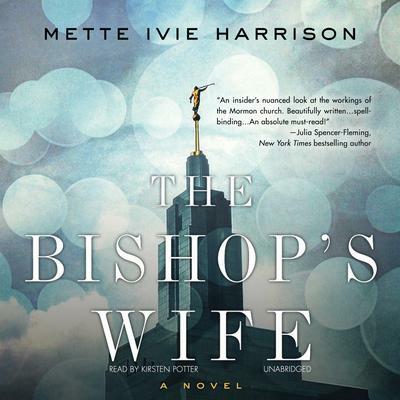 Inspired by an actual crime and written by a practicing Mormon, The Bishop’s Wife is both a fascinating look at the lives of modern Mormons and a grim and cunningly twisted mystery. Linda Wallheim is the mother of five grown boys and the wife of a Mormon bishop. As bishop, Kurt Wallheim is the ward’s designated spiritual father, and that makes Linda the ward’s unofficial mother whose days are filled with comfort visits, community service, and informal counseling. But Linda is increasingly troubled by the church’s patriarchal structure and secrecy, especially as a disturbing situation takes shape in the ward. One cold winter morning, a neighbor, Jared Helm, appears on the Wallheims’ doorstep with his five-year-old daughter, claiming that his wife, Carrie, disappeared in the middle of the night, leaving behind everything she owns. The circumstances surrounding Carrie’s disappearance become more suspicious the more Linda learns about them, and she becomes convinced that Jared has murdered his wife and painted himself as an abandoned husband. Kurt asks Linda not to get involved in the unfolding family saga, but she has become obsessed with Carrie’s fate—and with the well-being of her vulnerable young daughter. She cannot let the matter rest until she finds out the truth. 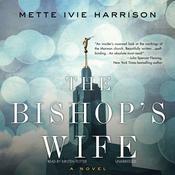 Is she wrong to go against her husband, the bishop, when her inner convictions are so strong? 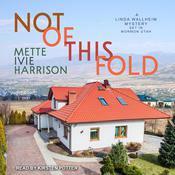 Mette Ivie Harrison is the author of numerous books for young adults, including the critically acclaimed Princess series. She holds a PhD in German literature from Princeton University and is a nationally ranked triathlete. A member of the Church of Jesus Christ of Latter-Day Saints, she lives in Utah with her husband and children.